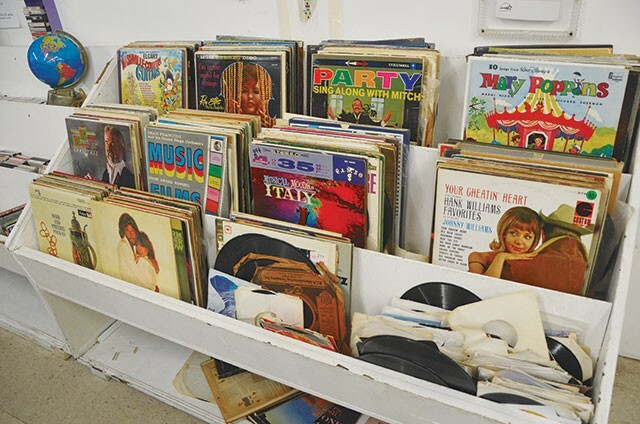 Due a steady flow of donations culled from the old-school neighborhood of Olmos Park, Boysville Auxiliary Thrift Store can be a well-rounded goldmine, depending on when you hit it. On first glance, the place resembles most thrift stores (with racks of clothing organized by size and discounts based on color-coded tags) but once you start digging you’ll find a fair amount of vintage loot, especially within the glass cases. Well-preserved Madame Alexander dolls ($19.99), ’50s-era vinyl ($1) and an oversized Creepshow comic from 1982 ($39.99) stood out among other tempting treasures on a recent visit. Not surprisingly, the cream of this crop gets displayed in the cabinets housing silent auction items, which rotate every two weeks.